A whirlpool tub provides a deep tissue massage through water jets (often called a jacuzzi tub). These water jets provide a powerful, deep, therapeutic massage to specific areas. Whirlpools provide the most vigorous type of massage. The water moves quickly - like white water rapids. Water is pulled from the bath, air is added to the water stream and then the water is forced into the jet. The jets target specific muscle groups. Motor power, number of jets, amount of air injected into the water and jet design are all factors that effect the strength of the whirlpool. All the manufacturers carried by Tubz.com use a clean pipe system. In the past few years whirlpools have received a bad reputation. Originally the pipes were made from flexible hosing that could bow down due to heat and time. The water would never fully drain from the pipes. When the whirlpool was used again black crud would come out of the jets. The whirlpools we carry have piping that will not bow down. Each manufacture will give more information on how they do this. Some bathers just want the water to move in a whirlpool fashion - spinning the water around the tub. This is the job of the side jets so a bath with 6 jets - 3 on each long side is perfect. Other bathers are looking for a massage for a specific muscle set whether it be foot, hips or back. Hips and leg massage need the side jets pictured above. For a foot massage, jets can be added to the drain end or with a center drain tub - the second set of back jets can be used for the feet of a single bather. For those that suffer from back pain - back jets become the most important. Some like a softer massage, others want the most power possible. When it comes to jet number, it is not necessarily the more the merrier. The whirlpool motor's power is divided between the jets. A smaller motor can handle 6 jets nicely with decent power to each jet. Now double the jets to 12 but keep the same motor, the jets now have 1/2 the strength they did before. Increase the motor power and the 12 jets are back to being strong. Neptune offers a diverter. Turn the diverter and the power moves from the side jets to the back jets. The more you turn the diverter - the more the power is moved. Many of our other manufactures offer the ability to control the jet power by turning the ring around the jet. Hydro Massage offers a 3-speed motor on some of their whirlpools offering a quick low - medium or high for all of the jets. The motor is usually located behind the whirlpool's back slant. Access can be through a front skirt, behind the back rest or the back wall (the last two especially if a closet is located there). The technical sheet for each tub will show the motor location, if the motor fits underneath the tub and if there are optional motor locations. 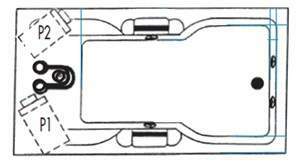 The picture was taken from the whirlpool's technical sheet. It is showing two options: P1 & P2. Murphy's Law suggests build access and it won't be needed -don't and the results may be very scary! 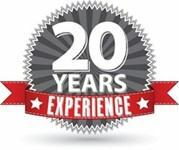 Recommendations for access size vary among manufacturers: Jacuzzi 12" x 18", Hydro Systems 14" x 16", Aquatic 16" x 16". Down load the instructions from the manufacturers web site to see what size you will need. • How long do you stay in the tub? If you are in and out within 15 minutes, you probably don't need a heater. • Do you have enough hot water to let some water out and add more? Some plumbers say that the capacity of the hot water heater needs to be 2/3 of the capacity of the tub, others state 3/4. So expect a 100 gallon tub to take 67 - 75 gallons of hot water. Chromotherapy is the addition of underwater lights. • Mood lights have multiple colored caps. Choose the color desired and snap the cap over the light. • LED lighting has multiple led bulbs in the light. Turn on the light and it will sequence through all the colors. Find a color you like - push the button and it will stay on that color. When shopping through our tubs by size or style, you will see a list of the tub systems offered below the tub size and installation style. 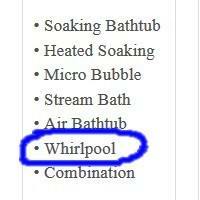 Look for Whirlpool to find this system.